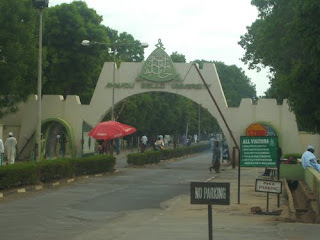 Ahmadu Bello Unversity, ABU Distance Learning Center, DLC Admission Screening and Registration Venues for Prospective Candidates, 2018/2019 Academic Session. The Ahmadu Bello Unversity, ABU Distance Learning Center, DLC has released the screening and registration centers for prospective applicants for 2018/2019 academic session. We will like to take this opportunity to inform you that the screening exercise commences from 7th January, 2019, at all centers listed below. You can now signup, pay your application fee and get screened for the programmes you wish to apply for. To Apply Kindly follow the information here >>> ABU Distance Learning Center (DLC) Admission Form 2018/2019. Got questions? Email Support@abudlc.edu.ng or call 08080523171 or Whats-app 09087091959 to speak with a member of their support team.